Her Divaness, Windy, has a temper. Windy is too smart for her own good. A few days ago she upped the ante of her anger. Windy wanted to leave with me as I was headed out the door to run errands. She left a deposit for me, like the last time. (See May 23, Dachshund Gets Revenge) However, this time she rolled up the rug next to the front door. Her evidence was exactly where I would step on the rug if it were there. It is easier to clean poo off a hardwood floor than to wipe then launder a rug. Am I supposed to be grateful for easier cleanup and her consideration of water conservation? 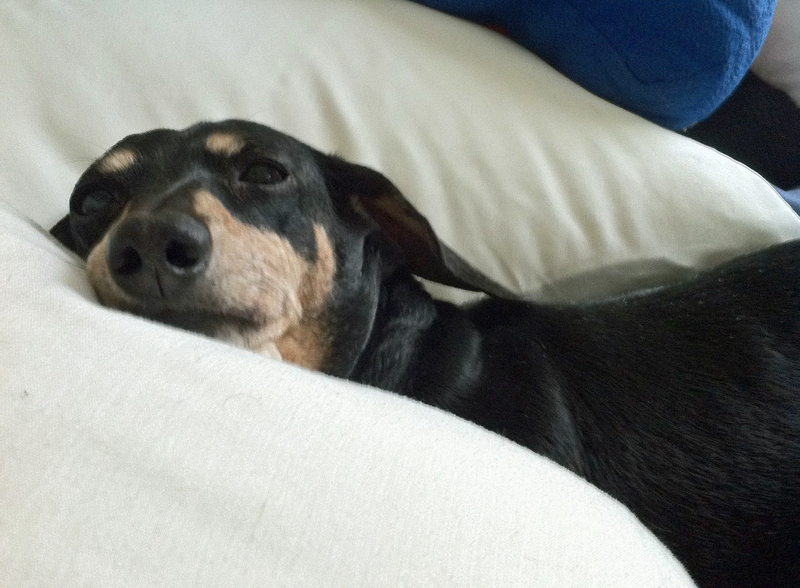 This entry was posted in Dachshunds, Dog Behavior, Uncategorized, Waste Management and tagged Dachshunds, Dog Behavior, Waste Management. Bookmark the permalink.